A used Mercedes-Benz GLK delivers the upscale styling and indulgent creative comforts you’d expect of any other luxury SUV, but those enticing benefits are also combined with a renewed sense of practicality. 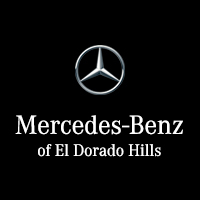 Enjoying a surge in popularity across Folsom, Rancho Cordova, and Gold River, there’s little not to love about the Mercedes-Benz GLK. What Makes the Mercedes-Benz GLK So Special? Your used Mercedes-Benz GLK takes inspiration from its larger SUV brethren – the Mercedes M-Class and GL-Class. As such, expect the same elevated ride height and expansive interior dimensions, plus a score of sophisticated safety, entertainment, and convenience features. However, the vehicle is built around the best-selling Mercedes-Benz C-Class platform, so ride quality is reassuringly car-like, as are the efficiency scores. Any driver who seeks to unite the traditional grandeur and prestige of a luxury SUV with the ease of a smaller vehicle deserves to explore our inventory of used Mercedes-Benz GLK models. From financing department to sales team, we’ll help match your precise needs with the perfect model and payment plan. To find out more, don’t hesitate to contact us today.